Sarai Ravensbrook has never known power. She has never been in control of anything in her world. She has lived in the shadow of her stepfather and uncle’s abuses to both her mind and body. All she has ever wanted was to have what was hers, to control her own destiny. But when a beautiful and mysterious woman comes into her life, Sarai is guided down a strange path….a path that will lead her to a queen from the ancient past, an extraordinary lost relic and to a destiny that is finally her own….or is it? 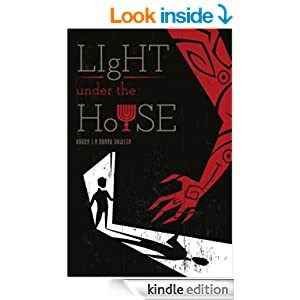 This page-turning story set in the late 1960s during a period of cultural rebellion (with a flashback to Biblical times) shows the power of consequence and the hope of redemption. The past events of this allegoric novel are interwoven within several themes that have insightful parallels to today, taking readers on a gripping and thought-provoking journey. Get the book on Amazon. SAVAGE TERROR WAITS UNDER A DARKENING MOON. Seeking to escape her psychopathic husband, Jessica Lobato flees Chicago with her five-year-old daughter Megan. Reaching the small town of Hope Springs, Oklahoma, they rent a trailer house out in the country and think they’re finally safe. But this small town has a very dark secret; one that emerges when the moon is full. A pack of werewolves hides amongst the populace and secretly kills selected people to satisfy their hunger. her daughter Megan is the next chosen by the pack to be devoured during the upcoming full eclipse of the moon. Jessica is about to learn there are worse things to fear in the night than a murderous husband. 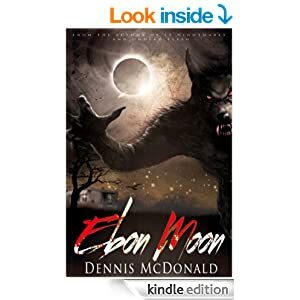 Ebon Moon is a tense, bestial tale of lycanthrope horror the way a werewolf novel should be. Detectives Larkin and Fairlane grapple with a killer who is branding his victims. Lies To Die For is the second volume in the Max Larkin Detective series, another thrilling read. Max Larkin and Jesse Fairlane are the top two detectives in Rockton, Illinois. 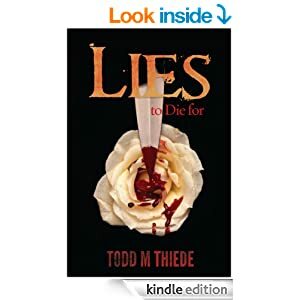 In Lies to Die For, the second book in the Max Larkin Detective series, they are in pursuit of a killer that is branding letters on the victim’s bodies. Is it someone the victims know, or is it just a random person taking out frustrations on the small community of Rockton? Max is just finishing a one-month suspension for hiding things from his captain while Jesse has been holding down the fort during his absence. 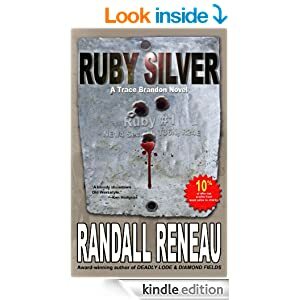 There hasn’t been much crime in Rockton since the Time Killer killings, but Captain Perry knows he’s going to need his whole team working together to catch the person that killed a local college professor and his girlfriend. Just as the clues start to come together, there’s another murder. Max and Jesse find themselves disagreeing a lot as to who to suspect and why. This partnership is on the rocks and the town needs them now more than ever. It has been forty-one years since the Supreme Court rendered a difficult decision. HUSH is the present-day journey into the lives of two successful people whose only mistake was to fall in love. When pediatric nurse Ann Ferguson and lawyer Ben Grable fall in love and marry in Minneapolis, it seems a perfect union. Both adopted at birth, when Ann becomes pregnant, and when Ben opens his adoption papers, their perfect life together is torn apart, leading them to opposite sides of the courtroom. Ann, raised by a minister and his wife, believes everything happens for a reason. Questioning if there is a higher-power, Ben feels everyone is responsible for their own choices, no matter how difficult or painful. 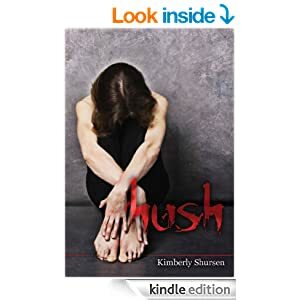 A passionate tale of the far-reaching bonds of family that surpasses time, distance, and conflict, HUSH also explores the powerful and sometimes deadly effects of supporting a cause. his company billions, there is no one connected to the Grable trial who is safe.